descriptionBoston Baby Basket This basket is pack with baby basic, for new born babies. Baby Gift Basket is ready to delivered to any Boston area business place, Corporate Offices, Hospital, Hospital Gift Shop and recipients home. 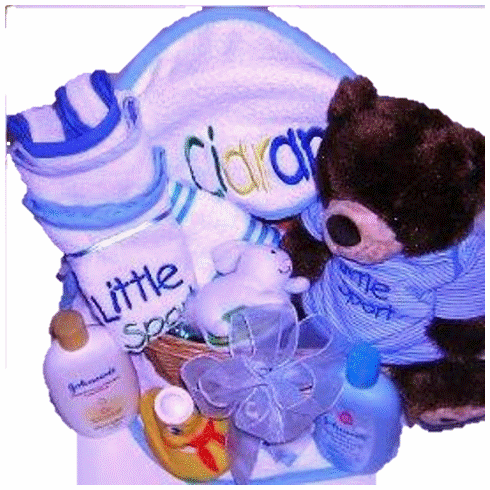 Baby Basket features A white fleece hooded towel with baby name incorporated on the hood. To order this baby gift basket see what inside including personalize items baby will enjoy for years to come. For your convenience Baby Gift Baskets are shipped any where in the UNITED STATE, and ship or delivered any where in the Boston Metropolian area.